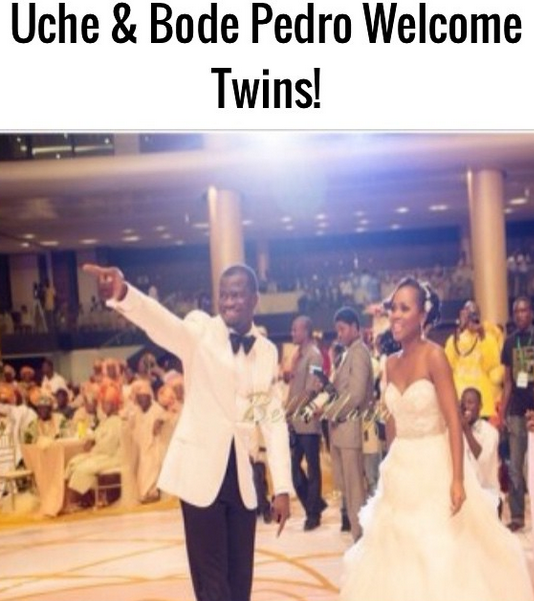 Uche Pedro, the founder of Nigeria's top entertainment and lifestyle website, Bella Naija, has welcomed twins. Bella Naija instagram page confirmed the news a few minutes ago. The young couple got married in June 2012. Big congrats to them.